Are you a child of God (John 1:12)? Have you been born anew by faith in our Lord Jesus Christ the Son of God (John 3:3ff)? 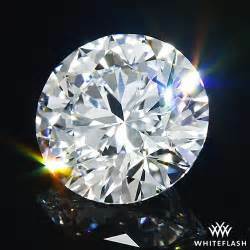 Then there is good news for you ... you are flawless like the best diamond, yes totally forgiven, clothed in the rightness of God Himself (2 Cor 5:21). You are not a "sinner saved by grace." (I hate that term!) You are a "saint," a holy one, a person set apart by God. And He loves you ... not because of your performance or lack thereof. No, because of HIS performance on the cross and His amazing grace on your behalf (Ephesians 2:8-10). Yes, you are a saint that sometimes sins, but that is already forgiven (Hebrews 10:12-18). When Jesus died on the Cross, how many of your sins were paid for and forgiven? ALL! Past, present, and future. So if you sin now, it's a stupid, sad choice. But deal with it by agreeing with God about it ("confess it"), grieve the loss and heartache it caused, and move on. Reckon ("consider") yourself as dead to that sin and alive to God in Christ (Romans 6:5-14). Enjoy His gift of freedom from guilt and shame. So rejoice, O saint of God! And live out of the indwelling resurrection life of Christ, right here, right now (Galatians 2:20). Don't go slinking around carrying a load of false guilt. Your guilt is gone. Let Him live through you as you, His new creation indwelt by His Spirit (2Corinthians 5:17; 1 Corinthians 6:19). Amen.